Upon purchase you will receive, via email, your order confirmation. This order confirmation MUST be redeemed for official party wristbands. They can be redeemed at the Welcome Point at The Zign Hotel. Either print your order confirmation or show it on your mobile device for redemption. 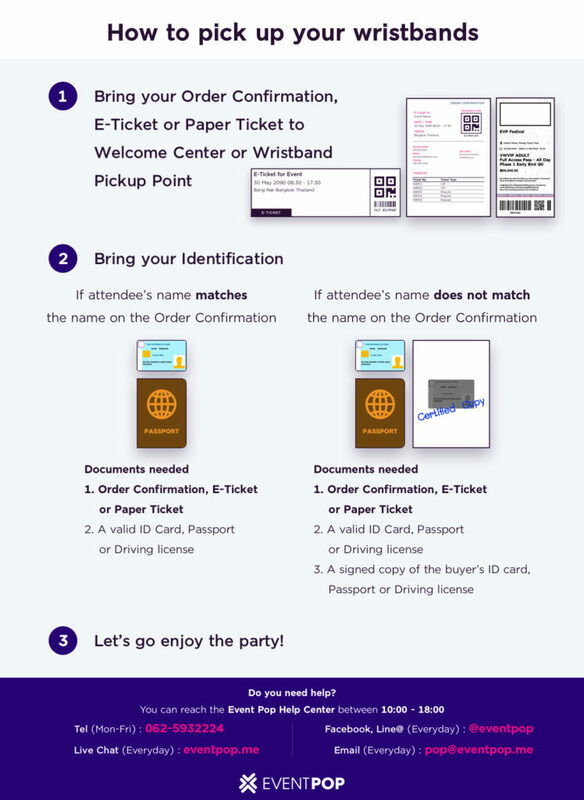 You can pick up wristbands for a friend(s) provided you have a copy of their photo ID and their order confirmations. Note – You are responsible for your party wristbands. Any lost wristbands must be repurchased for admission. Damaged or cut-off wristbands will need to be replaced for 200 BAHT fee.